Two of my kids love feta cheese. Like really love it. I only recently discovered this when I bought a big container at Costco. I have bought feta cheese many times, but I usually just buy a small package at the grocery store to use in specific recipes like pasta salad. This time though we had a giant container and my girls started putting it on all kinds of things. One of the things we tried it on was eggs. It was delicious! We all loved it. 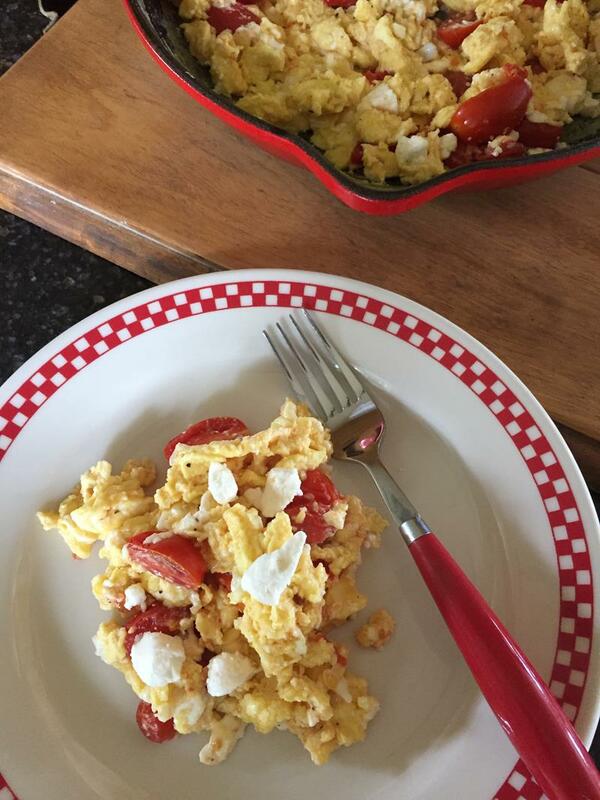 I have seen many recipes for Greek eggs or Greek scrambled eggs. They are all the same basic idea, but some recipes contain spinach and some don’t. Some have tomatoes and some don’t. 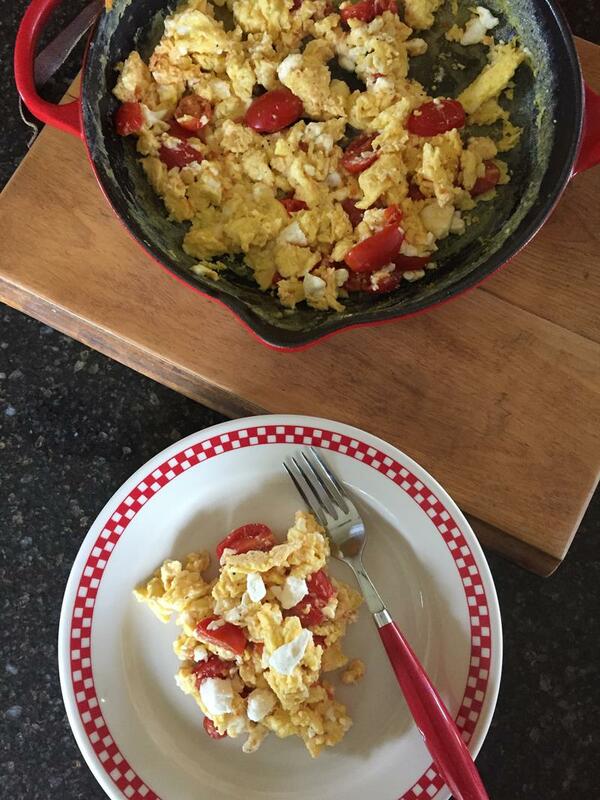 For our version we kind of just did our own thing and used tomatoes from our garden, some garlic, eggs, and feta cheese. It turned out great and made for a simple lunch one day, but I also think this would made a great breakfast for dinner. This is one of those recipes you could easily change up. Use the basic idea and add whatever you like or have on hand. Crack eggs into a bowl and whisk them together. Set aside. Heat oil in a pan. Add garlic and tomatoes and cook for 2-3 minutes or until tomatoes are tender and some of the juice has been cooked off. Remove from pan and set aside. Add eggs to pan and cook, stirring as needed to scramble them. Cook until desired doneness. About 3-5 minutes. Add tomatoes back to pan and stir. Add feta cheese and stir just until combined. Salt and pepper if needed for desired taste. I have added cream cheese to eggs before and you are right it is really good. Sour cream also makes eggs nice and fluffy.